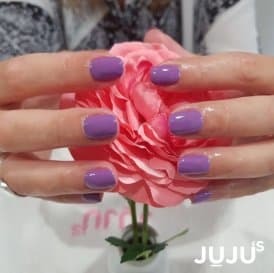 Located in the heart of Camden and committed to providing luxurious and relaxing beauty treatments, JUJU’s focuses on escapism, relaxation and pure indulgence. From the moment you walk through the doors of our luxury beauty salon in Camden, the stresses and strains of life are forgotten as you enjoy our premium service and dedicated pampering. Are you looking to book in therapy with the top beauticians in Camden? Either give our Camden beauty salon a call on 0207 267 87 87 or walk into our establishment today to arrange your very own beauty makeover! You will find our Camden beauty salon conveniently situated next to Primrose Hill in London, at 76 Parkway. Whether you’re looking for a simple pedicure or some detailed hair threading, our salon in Camden Town is happy to take care of you. At our luxury beauty salon in Camden, we offer an extensive list of relaxing beauty treatments from Murad facials, laser hair removal, luxury human hair extensions, eyelash extensions, spray tanning, tanning booth, manicures, nail bar, pedicures, gel nails, waxing in Camden, eyebrow threading, spa treatments, hot wax, eyelash tinting, St Tropez, sunbeds, massage, shellac, and a specialist male grooming service. See our full list of treatments here. Dedicated treatments rooms provide a relaxing and homely atmosphere, whilst our professionally trained staff offer a full consultation and advice on the range of beauty treatments available to you. Whether it’s a bespoke pamper package or simply a relaxing treatment, sit back in the relaxing surroundings and enjoy our unique and professional beauty service. 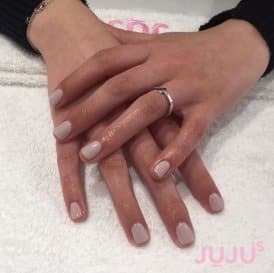 With a team of dedicated therapists at your disposal, chose from an award-winning Murad facial or enjoy a luxury manicure with our highly trained nail technicians. If you have time, pop into our Camden salon tanning booth and top up your tan before leaving the salon feeling refreshed, alive and looking amazing. 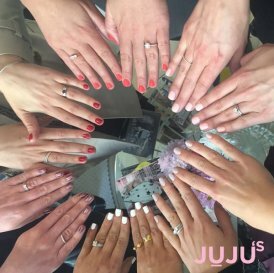 For our clients, JUJU’s beauty salon Camden is often called a home from home. The relaxing and homely environment and friendly staff offer an unrivalled service in Camden. However, for the same price, as you pay in the salon, our 100% human hair extension service can be undertaken in the comfort of your own home. 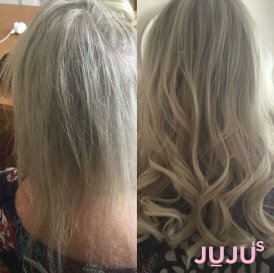 Our specially trained hair stylist will travel to your home and offer the same premium client experience that you enjoy whenever you visit JUJU’s. If you are searching for a makeup artist who knows how to enhance your beauty, we’re always happy to help. 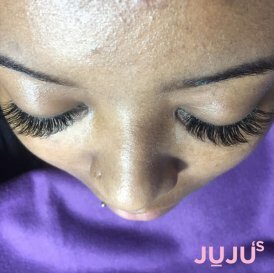 For more information about our mobile hair extensions, pedicures and Camden beauty spa therapies, please contact JUJU’s beauty salon. We will be happy to arrange for one of our beauticians to come and visit you for a professional appointment that fits your schedule. We're proud to have an average review rating of 4.1/5.0 stars on Google from our clients. ”Amazing! The best salon experience in London. I am fast becoming a regular client of this boutique salon since popping in for a one-off Express appointment to retouch my nails. In no time at all they were absolutely perfect for weeks on end. 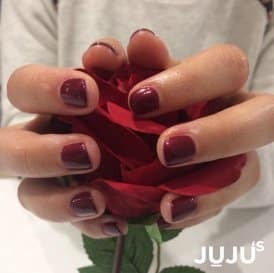 ”Had an excellent experience with Talia on Saturday who despite my very short and damaged nails did an excellent gel manicure. She clearly explained her after care advice and was very warm and friendly. ”The staff are so friendly and always so helpful (sometimes I have to change times last minute). Their spray tans are amazing and the nail technicians always do an amazing job. Couldn’t recommend enough! ”Great service! I arrived 45 minutes before closing with no appointment and they managed to fit me in, trying hard to remove my shellac and apply a new coat in time. V friendly and welcoming. Highly recommend! 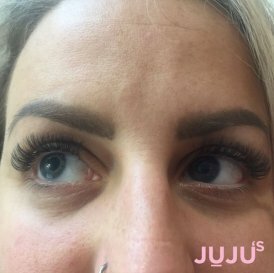 ”As ever my beauty treatment at Juju's was superb.. efficient, friendly and fabulous prices. 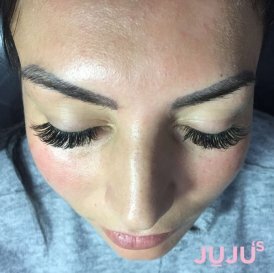 The staff at Juju's always go the extra mile to ensure you leave with a smile - simply the best beauty salon in Camden! ”Came in last week to have a facial, service was excellent and the employees were always attentive and kind! Highly recommend this beauty salon when looking for one around Camden area. We are located in Camden Town, near Primrose Hill. If you are looking to pop into our establishment, we can be found right across from the turn off to Albert Street. We are always happy to have people walk in for appointments if you are nearby, but for the best rate of success just give our beauticians a call and we’ll let you know!